If you cancel the Group 15 days before the date of entry, the Hotel will charge 50% of the payment received. If you cancel the Group 5 days before the date of entry, the Hotel will charge 100% of the payment received. Please, we need an email for any contact. Ururi Stay is built with colonial decorations and elements. Its interior is veneered with wood to maintain the heat, as well as its furniture of wood finishes with a colonial style and typical of the area. We have a vast experience in the hospitality and tourist sector that will bring to the travellers and guests to make their stay with us special. 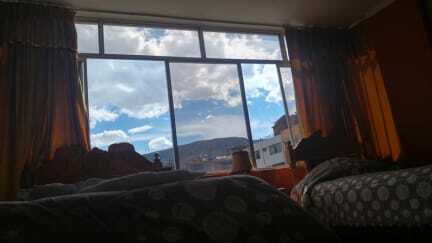 We are located in one of the best possible locations in the city of Puno. We are less than one km away from Lake Titicaca as well as 100 meters away from from the Church of the Virgin Candelary. In addition, there are other landmarks of the city really near to us such as La Casa del Corregidor, Estadio Enrique Torres Belon and Mirador Manco Capac, amongst other tourist attractions of the city. We offer individual bedrooms, double bedrooms, private bedrooms for two people (individual beds) and family/groups rooms for four people (four individual beds). Each room has a TV with cable channels. Every room comes with a private bathroom. 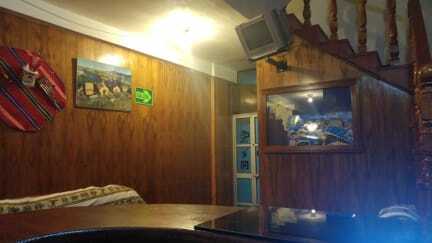 Ururi Stay Puno features free WiFi. In addition, we have several common areas and amenities that will let out travellers and guests meet each other an speak about past experiences and future plans. Check out from 11:00 to 13:00 . The receptionist was very helpful organizing transportation to Juliaca airport and even taking care of our check-in with the airline. We saved a ton of time thanks to her! Very good quality - price relation. Thank you! Gut gelegen im Zentrum, sehr günstig und sauber. Leider ein bisschen kalt, aber sinst gut! Tee und kaffee immer zur verfügung.